I admit I’ve been slacking on brunch posts. Don’t you worry, this in no way means I have been deprived from the wonderful glory that is breakfast food at what some people call lunch time. I think winter is getting the best of me and going anywhere outside of my radius has been somewhat of a challenge. You know that you’re in the midst of winter when 40 degrees inspires you to go out. I know I am super late in the game, but I’ve finally discovered the wonder that is Open Table. I have used it before and it’s always been great, but I had never used it for brunch and let me tell you, it’s amazing. You really feel like New York royalty when you walk into a crowded restaurant and find a lovely table open and waiting just for you. Before I even get into the wonder above, I must say the Jane Restaurant has some sort of strawberry butter and it is delicious. Anyways, let me just say I have never thought of seafood as breakfast. 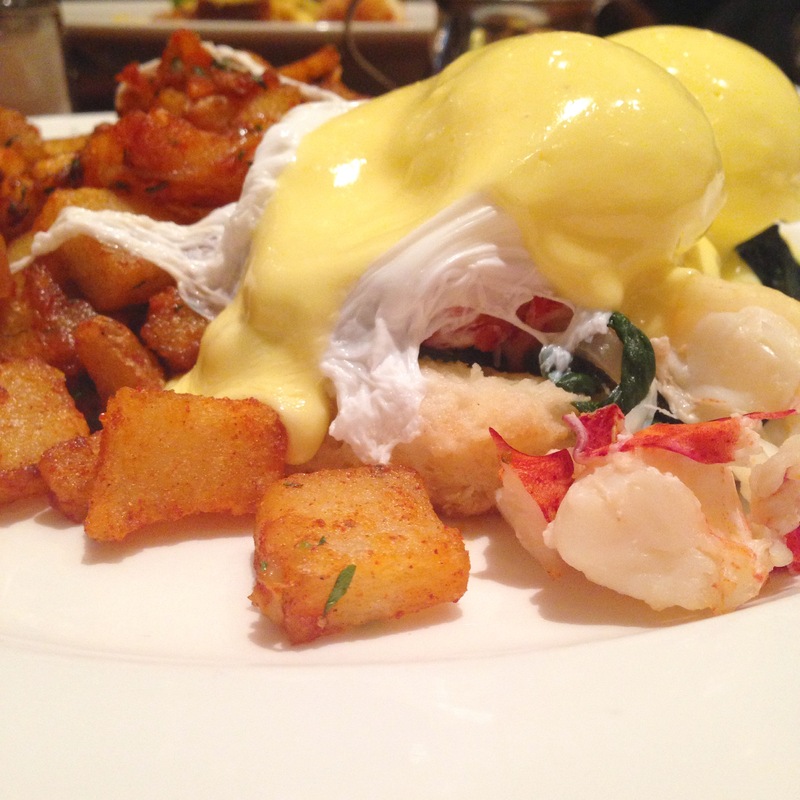 The thought is still a little weird for me, but I decided to give Lobster Eggs Benedict a chance (or Lobster Benny as it’s called in the menu). Excellent decision. I would have liked more lobster, but it’s ok, I wouldn’t have been able to eat more anyways because I stuffed my face with bread and strawberry butter. 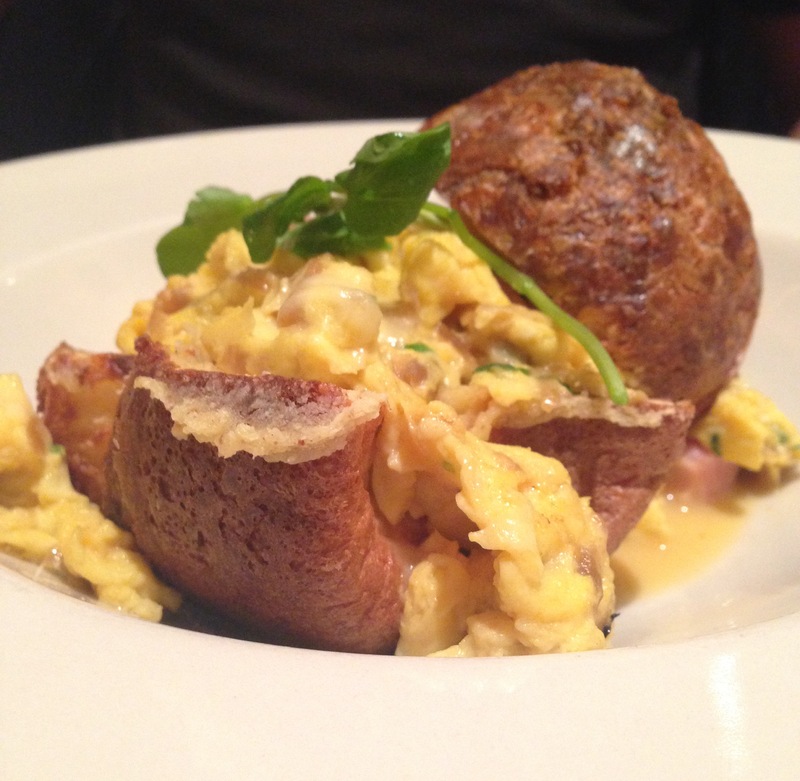 Classic, but good, you can’t go wrong with this Farm House Popover – scrambled eggs, smoked ham, gruyère and caramelized onions.